Started this session with some Breaks and Lounge tracks before moving into the Deep and Soulful stuff.. Excellent new music from Groove Armada, G Spice, Anthony Mea and as always many more. Latest deep sounds from the world of House Music.. Enjoy and cheers! 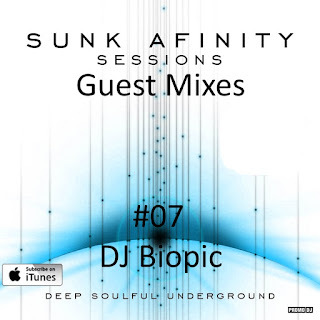 Guest mix #07 from the man behind House Hed Music recording label, producer and player.. DJ Biopic. Excellent selection blended nicely to make a great guest mix! Check his website www.djbiopic.com for all current happenings production and radio podcast wise.